To read a Mandolin Magazine article about Triggs Mandolins from January 2010 please click the link below. NEW FOR 2016: We'll be making a variety of mandolas and mandocellos this year. Keep your eye out on our "For Sale" page for more info and available models. At Triggs Mandolins, we strive to provide a high quality hand-built instrument for players of all skill levels. Every mandolin we make can be customized to your specifications and all components are made in our shop. We can make you a mandolin that has the tone you want with the feel you want at the price you want. This is a brand new site, if you see any problems please contact us. Check back often as we'll be adding new articles and photos frequently. 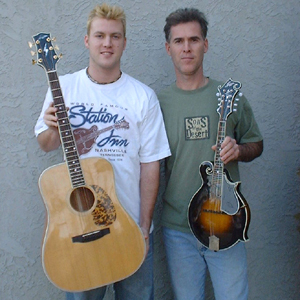 We're currently accepting testimonials from all Triggs Mandolin Owners to display on our Testimonial Page.